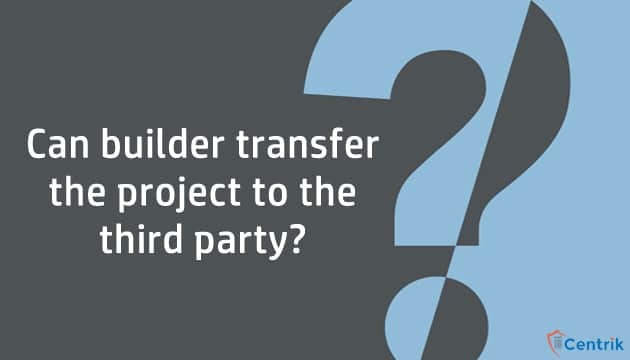 CentrikBlogsBusiness AdvisoryRERA ConsultingCan builder transfer the project to the third party? The RERA Act, 2016 has certain provisions which clearly shows the evident intent to leash the malicious activities of the Builder. Amongst all such provisions, there is one provision related to the transfer of the Real Estate project to the third party. As per the RERA laws, the promoter shall not transfer the project to the third party without obtaining the prior written consent from two-third of the allottees and prior written approval from the concerned RERA Authority. However, such transfer of the project shall not effect affect the sale or allotment made to the home-buyers by the builder erstwhile. Recently, on such issue the Haryana RERA Authority issued a show cause notice to the developer regarding four projects of the developer, wherein it has claimed that all the four projects have been sold to the other party without dues permission as written in the RERA Act. The Developer has to give his response within a week to avoid further consequences. As per the penal provisions of the RERA Act, 2016 if any builder or developer contravenes the provisions of the act then a penalty which may extend up to five percent of the estimated real estate project cost shall be levied; in line to this provision, the HRERA Authority, Gurugram has proposed a consolidated penalty of Rs 85 crores for the two projects as these projects lies in the jurisdiction of Gurugram Authority. On the raised issue, the officials of the Builder Company have issued the statement that we did not sell any of the property and certainly we will provide all the evidences and facts to second our statement. The all the aforesaid discussed provisions and instances taking us to the outcome that the RERA Authorities are very vigilant and alert to minimise the mischiefs of the Builders, in any case if such contravention happens then the RERA Authorities will not spare anyone.